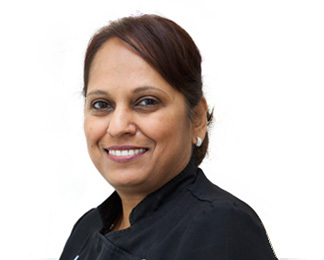 Premila qualified as a dental nurse in 2001 and has been one of the senior nurses at Blue Court since 2004. She is experienced in all aspects of dentistry and treats all her patients with a calm, caring approach. Premila can also help patients whose first language is not English as she is fluent in Guajarati and Hindi. Premila enjoys the variety of working at Blue Court, seeing different patients every day, and working in a friendly environment. She gets great job satisfaction from knowing she is helping people. Outside work, Premila likes cooking, and spending time with her family. Couldn't be happier with BCD. I was fearful of dentistry for many years but now I am completely confident about it and have complete and utter trust and faith in what Dr Dixit advises. All the staff I have met are wonderful, kind and reassuring. I would highly recommend this practice to anyone.